1. HDFS stands for ____________. Explanation: Hadoop uses a distributed file system inspired by Google File System. 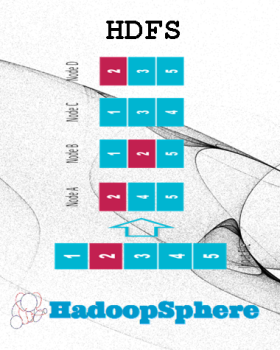 It is called Hadoop Distributed File System (HDFS). 2. Which command is used to upload files in Hadoop environment? 3. Which of the following parameters in the HDFS command is used for downloading the data from HDFS to Linux Filesystem? Explanation: It is recommended that a block B1 is first written to Node N1 on Rack 1. A copy is then written on a Node N1 on different rack – Rack 2. The third and final copy of the block is written to the same rack as the second copy – Rack 2 – but a different node (N2, in this example). Click on page number to flip the pages. 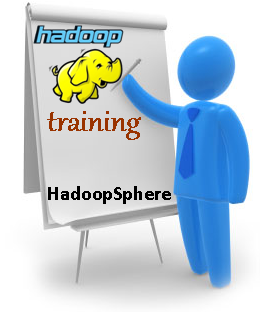 Practice questions on Apache Hadoop and associated products. Useful to gain essential knowledge, certification practice and interview mock-up. Apache Hadoop, Hadoop, Hadoop Elephant Logo and Apache are either registered trademarks or trademarks of the Apache Software Foundation in the United States and/or other countries, and are used with permission as of 2013. The Apache Software Foundation has no affiliation with and does not endorse or review the materials provided at this website.